It's official. Spring is finally here. 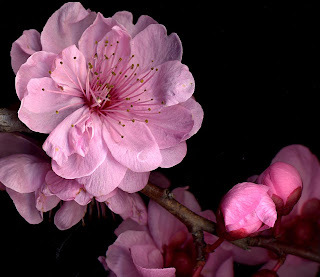 Even the relentless rain in California last week seemed tolerable; after all, it's spring rain and that is a lot different than cold winter rain. This is also the time fragrance lovers begin to shed the warm, rich fragrances that envelop us all winter in search of something lighter. Explore the numerous options available to you for spring or any season. Have fun with fragrance and trust your instincts. Happy Spring! 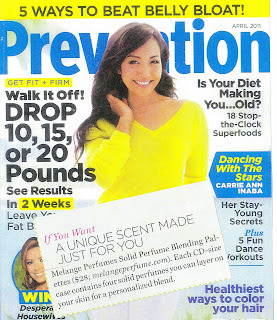 Melange is very excited to have our Solid Perfume Blending Palettes featured in the April 2011 issue of Prevention Magazine! perfumes that can be worn alone or blended together to create a custom fragrance.